Happy April Fools day! Mother Nature pulled an AFD joke on us in New England and dumped a foot of snow on us LOL! At least it was good sticky snow, we built a bodacious fort in the backyard and we have several new snowpeople gracing our yard. Also it is Friday which means we can ogle all of the gorgeous creations that the Lindsay’s stamp Stuff DT has cooked up for us this week. 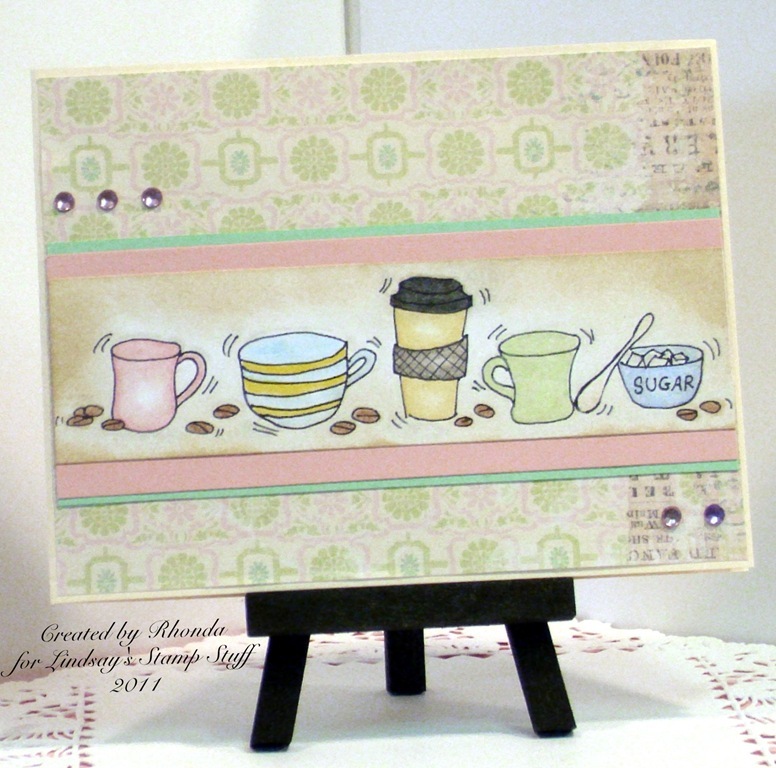 Diane also used the Bold Black and White paper kit but she colorized them, how pretty and springlike! What could be better than a hot cuppa joe? This card from Rhonda and even better, it uses a freebie you can find here! That freebie coordinates with the Coffee Talk set. WEll, now, don’t you feel inspired, I sure do! Thanks so much for stopping by and til next time happy crafting!